My aspirations for living life as sustainably as I can probably began when I was a young girl deeply concerned with the well-being of other creatures. Although my interests and understanding of life and nature have spiraled out a great deal since then to encompass many more concerns and observations that I’ve made, I remain fascinated and indebted to the teachings of wild animals. So when we’re discussing designs for the future, to me, it’s important to incorporate wild animals into (or near) our spaces. Nonhuman animals have many lessons to share with us and are also essential to properly functioning ecosystems. Landscapes designed for wildlife are also beautiful and life affirming. We can incorporate areas for wildlife into our design, and possibly even right alongside features that are beneficial to humans. And there must be areas for rearing young. 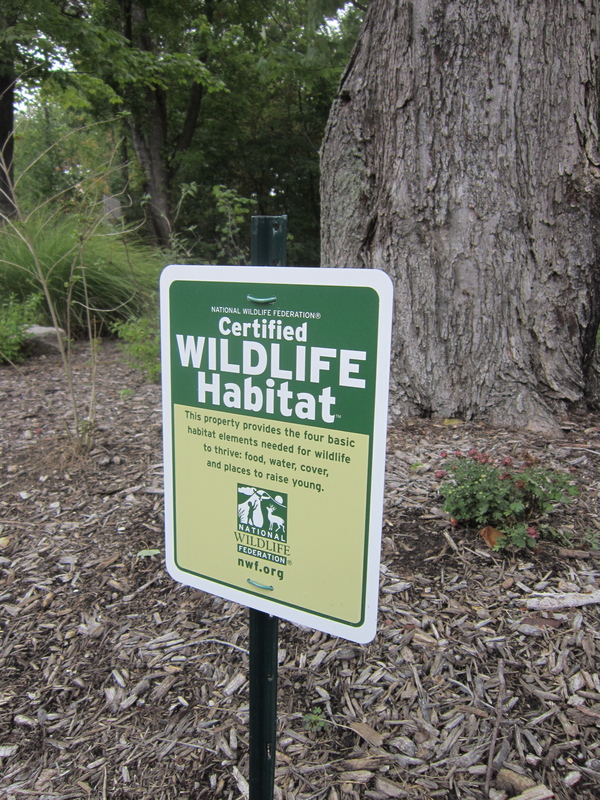 Last Christmas, I certified my parents’ yard as a Wildlife Habitat because they’ve really made a tremendous effort to create a space that both people and wildlife can enjoy. “When we first moved here, the house itself had curb appeal, but the landscaping was like an afterthought that had been added to look like every other yard in a neighborhood where the typical pattern is for people to drive home from work and go inside. End of day. 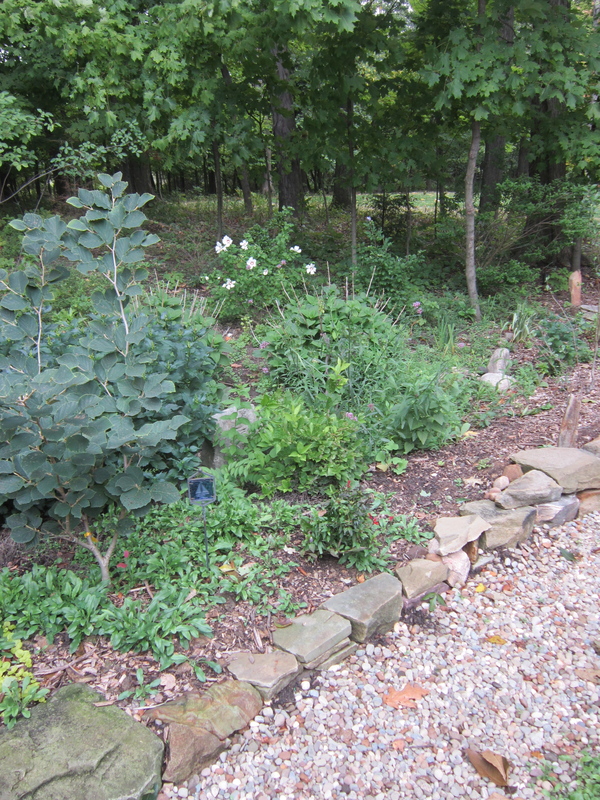 The front yard was grass, a concrete drive, and 3 mulched beds with typical landscaping: boxwoods, various evergreens, and a red maple that were all planted in poor soil (as is typical after construction). “The back yard was all grass other than woods that had been left uncleared (thankfully) and a mound where the septic tanks are. There were wooden steps leading down into the yard and a small concrete path that led off the drive and back into the garage. Nothing made me feel connected to nature in the yard. This had to change because we love summer days and evenings outside and I love plants, flower gardens, and watching birds and butterflies. Where once a concrete path merged to grass, there is now thriving habitat. 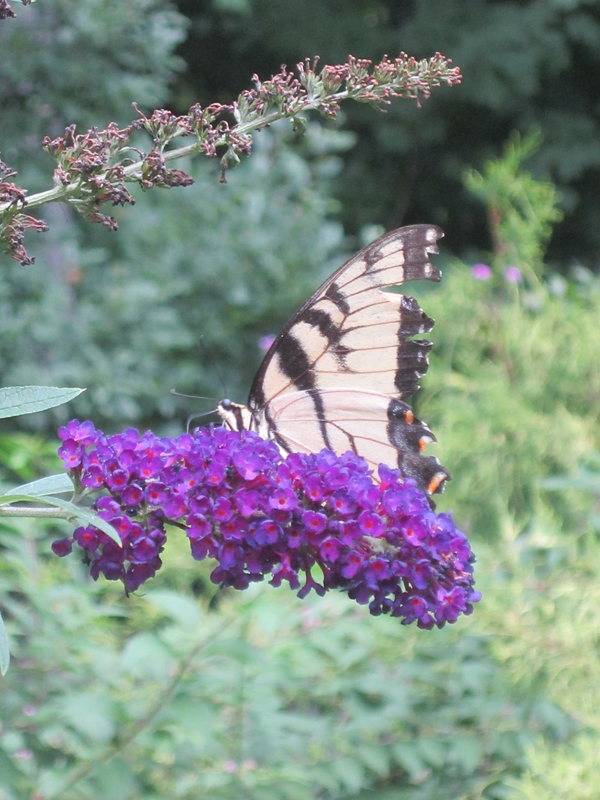 In this case, an area that attracts butterflies and hummingbirds. 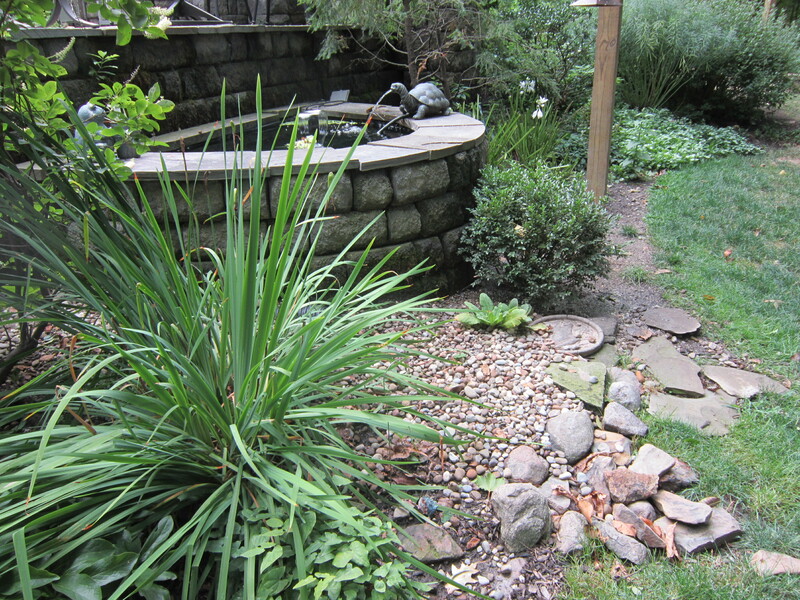 There is even a smoother transition between nature, human space, and the septic field. 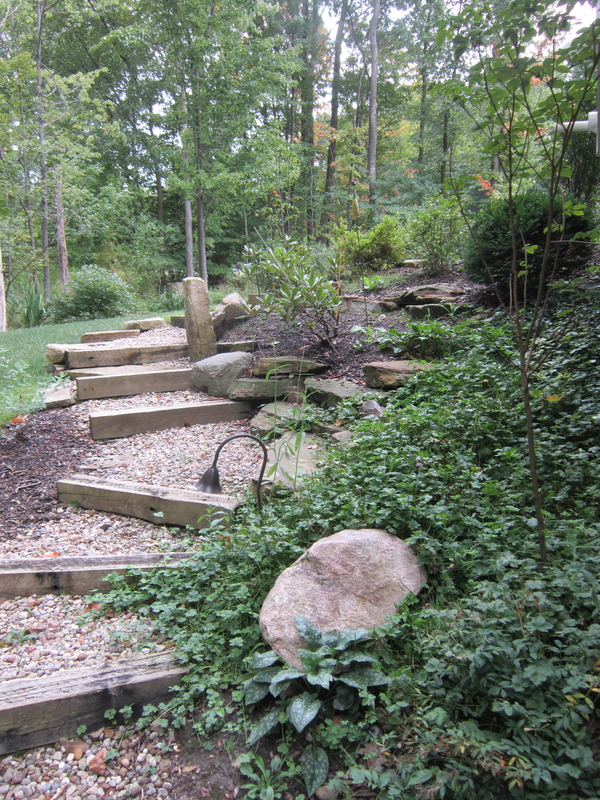 “We decided to start first with the back living area so a bluestone pathway off the drive was conceived to enter the backyard. 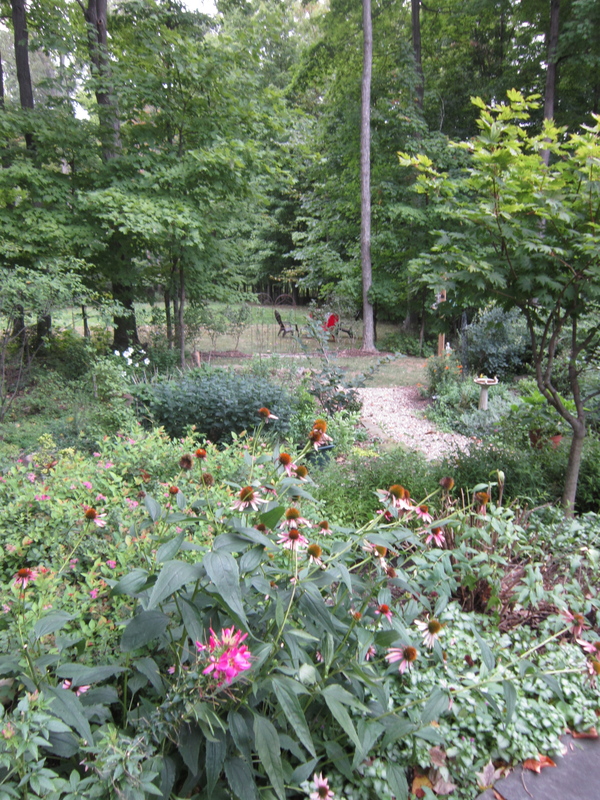 Now when you approach, there is the idea of being drawn into and welcomed into our backyard. 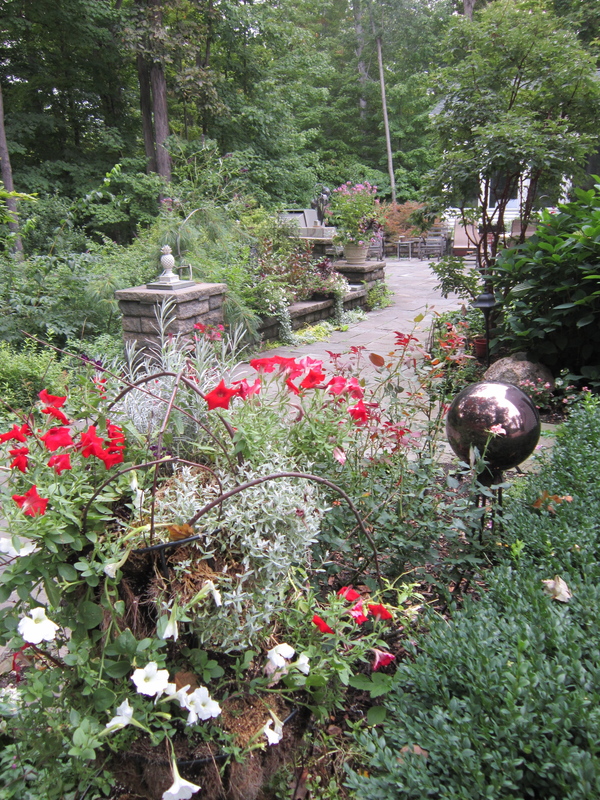 The patio was created at the base of the sun room for outdoor cooking, eating, reading, socializing, or just relaxing. “Everything has been done in phases due to cost and the importance of just spending time in the yard to get a feel for what could be created to enhance the natural beauty. I haven’t yet seen a spot where I’m not excited for the potential for beauty and to see how what is planted can make all the difference for the health of the land and the wildlife here. 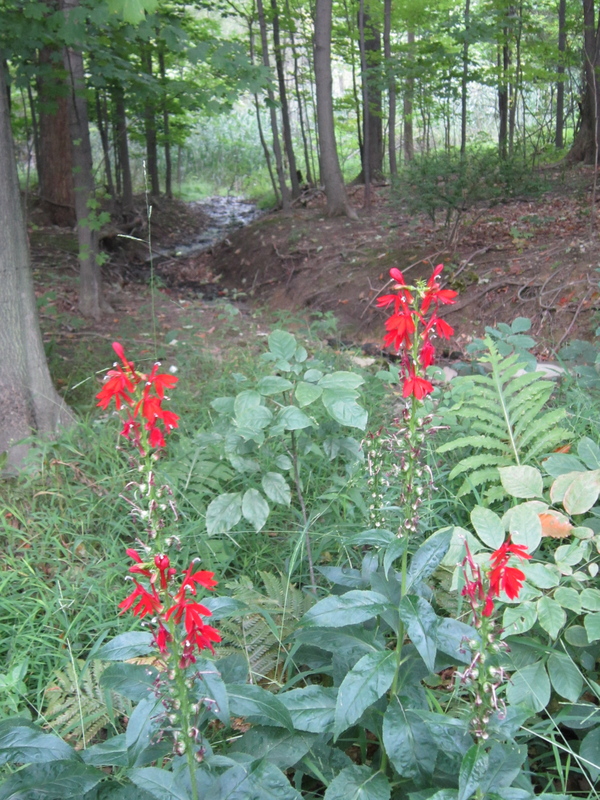 Cardinal flowers planted at the edge of the woods where a creek runs out of the property. Beautiful for humans, good for wildlife. 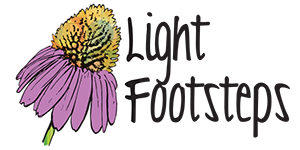 “At first my goals were for beauty and for our own pleasure in living here to have nice plants, trees, and a patio to sit out on to enjoy the weather. 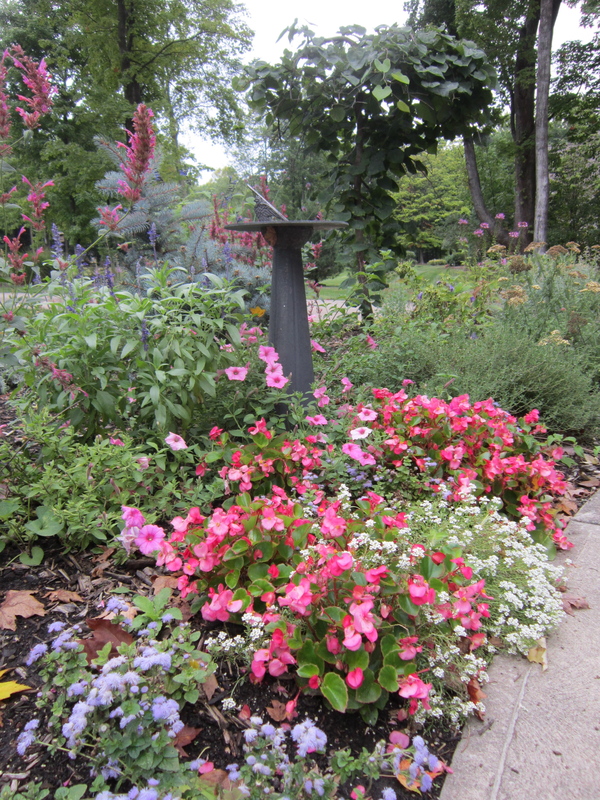 Carol Palansky [a horticulturist and arborist working for Nature’s Way] introduced me to the concept of incorporating native plants into all the landscape design. 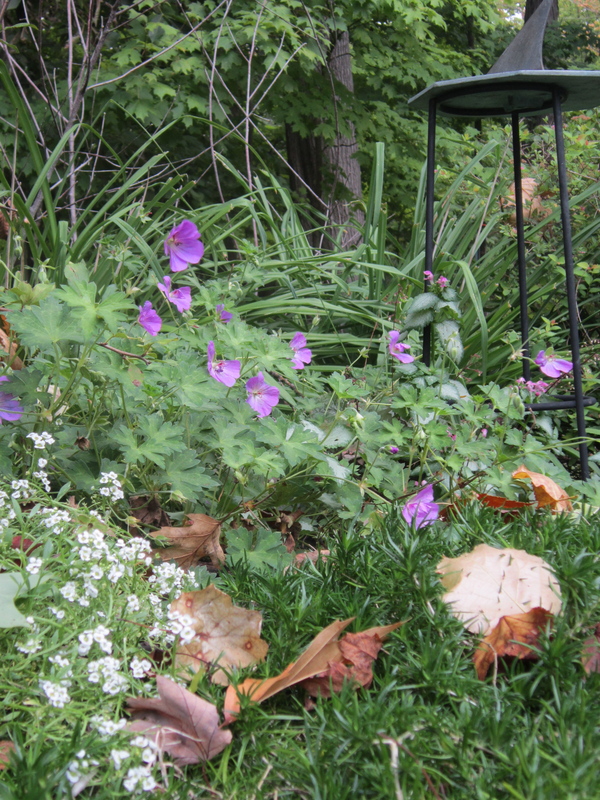 She knew a local grower of organic natives [Avalon Gardens] and so began the influx of native plants. 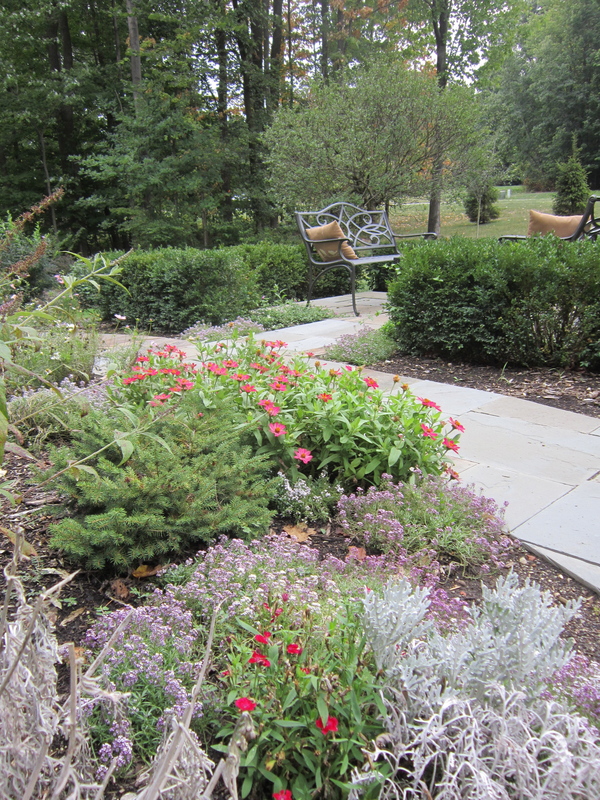 Native plants are found throughout the design. 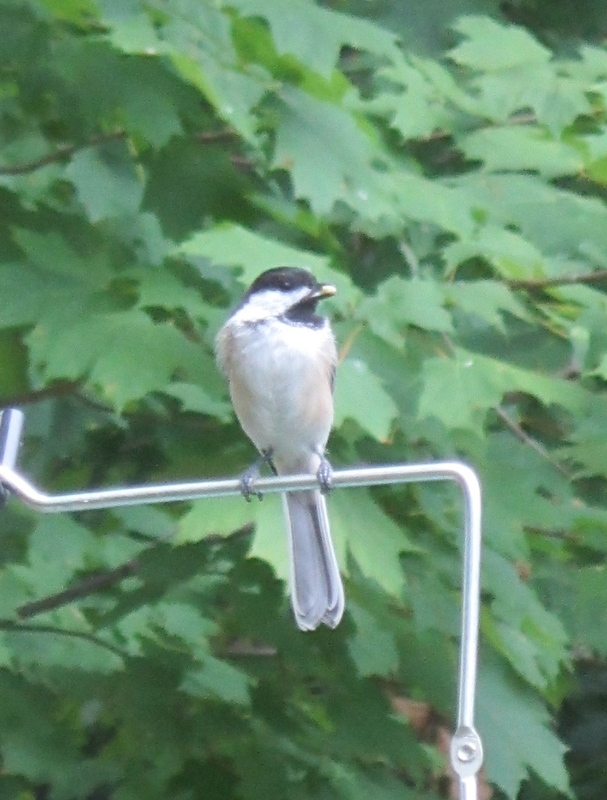 “Over the course of four years, the yard has gone from silent to a cacophony of bird calls. I can barely keep up with all the action around here. The landscape has gone from sterile to flourishing with activity. Once I learned about the difference natives can make in attracting wildlife, it became apparent that I needed to do more to make this a natural habitat for them. 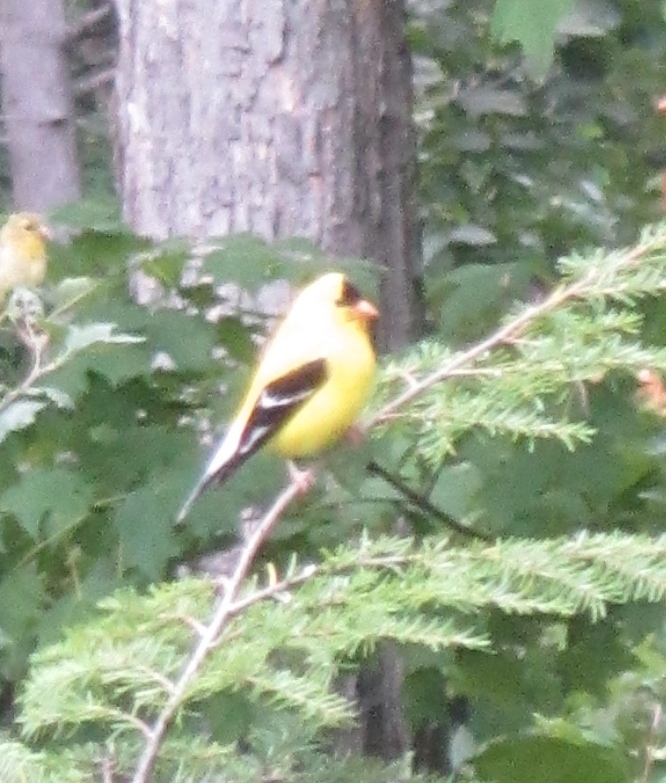 The goldfinch were practically swarming when I was taking these photos! It’s inevitable to see multiple species of butterflies. “Carol taught me about the importance of conserving runoff water by adding rain gardens which also serve as wildlife habitat. By doing this we eliminate grass areas which in turn limits fertilizers and weed killers. “And then there was the idea of creating a vegetable garden space in the front where we get the most sun! 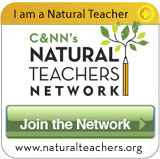 We added pollinator plants and food for us humans, too. 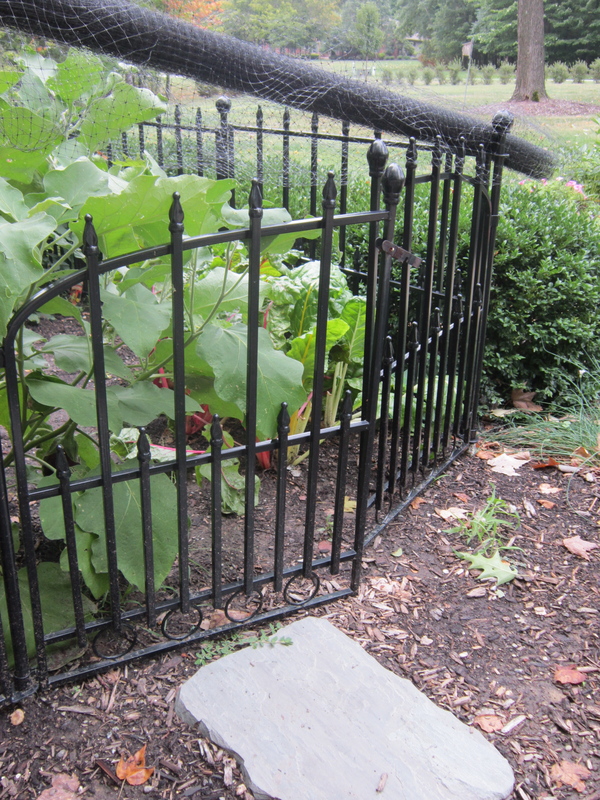 A vegetable garden currently covered with mesh to keep the deer out. 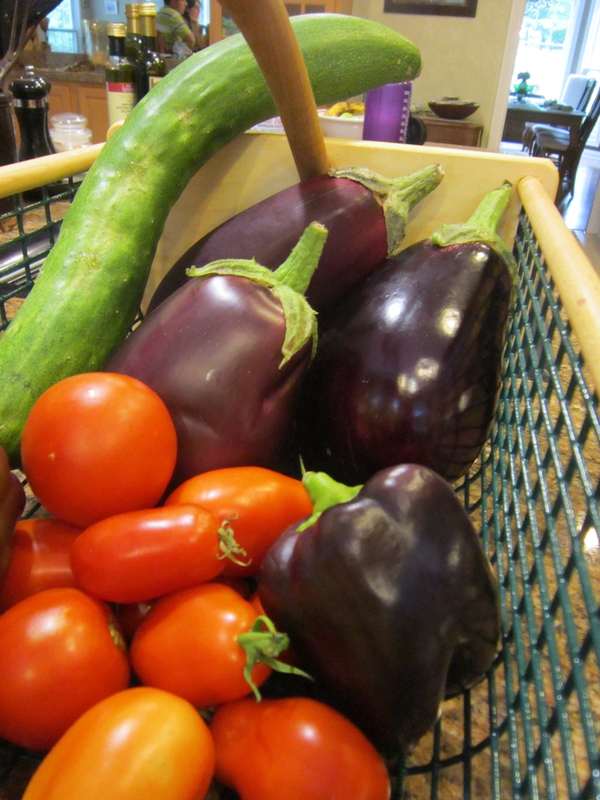 Fruits of my dad’s labor! “We also created a patio space in the front to get back to the idea of being more connected to neighbors and community. 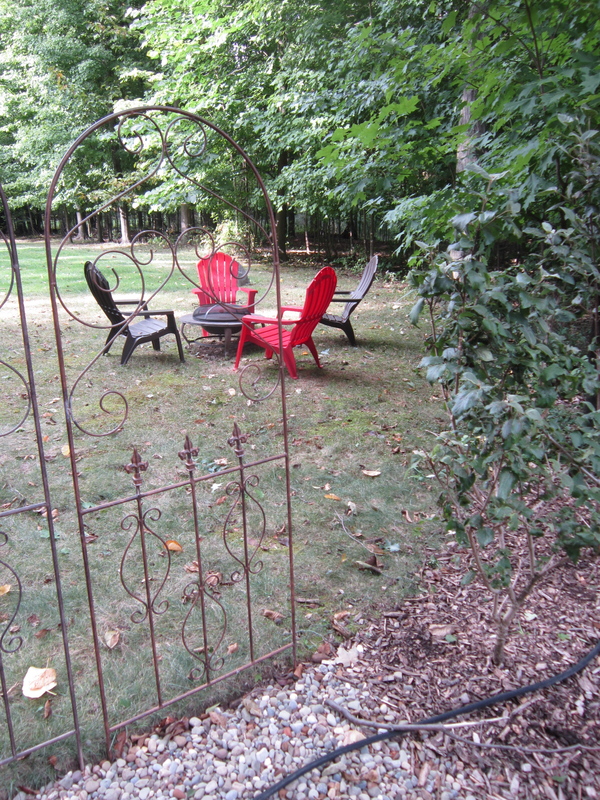 A sitting area in the front yard. “The front is not done, however, and this is next in the plan because we have seen how just a few more trees for shelter and food have brought in bluebirds, so next we will look into an orchard area on the woodland edge for humans and birds. “We have been fortunate to have a guide such as Carol to help make all this happen. The design inspires me to be a better steward of our Earth. The gifts of nature that have multiplied all around help to sustain me and ensure that I am in touch with the rhythms of the seasons. By being in this place, I see everyday the interconnected web of life and I want to do my part to protect all that is here which brings me such pleasure. 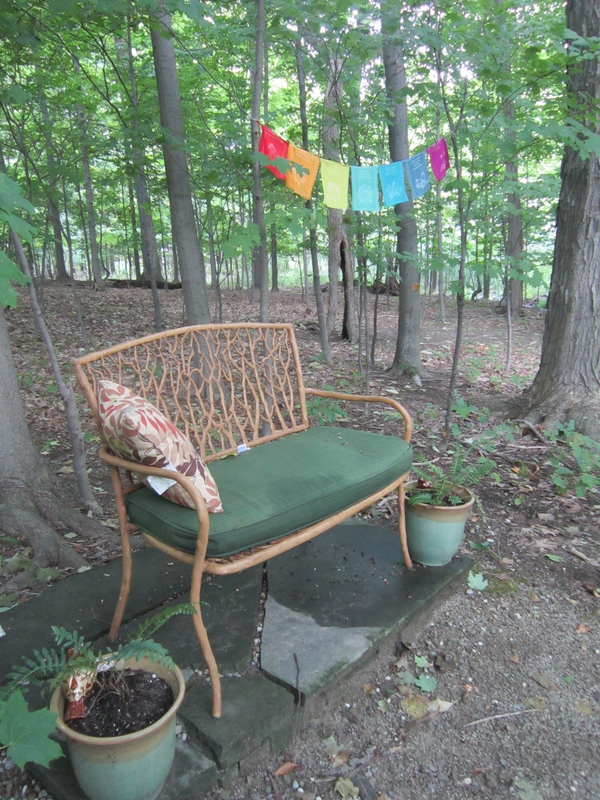 A meditation area tucked into the woods to appreciate the surroundings. “Build it, plant the right things and nature will come to you. It is the web of life. 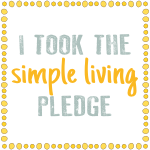 It feels amazing to know that I am doing something right here in my own small way. 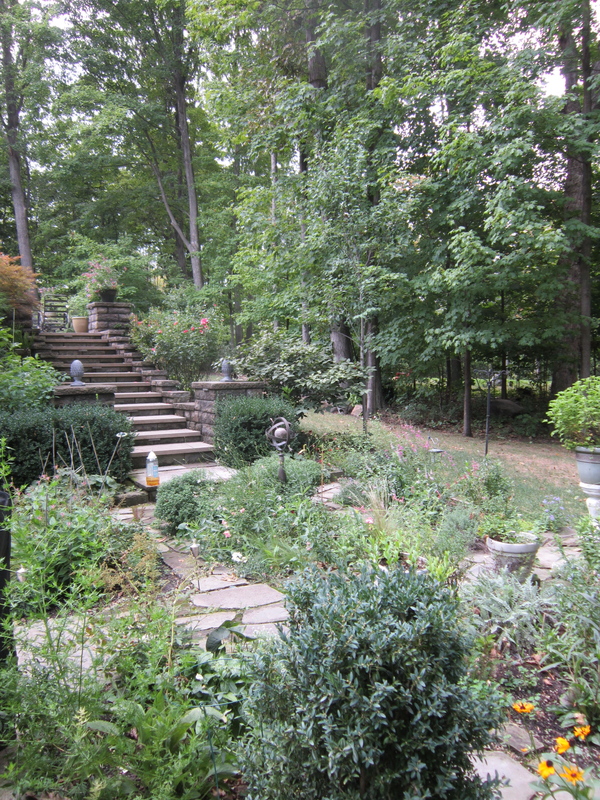 Cutting gardens with stairs leading back up to the main patio area. “My hope is that my neighbors will see and feel the difference here and want to reproduce something of it on their own property. A visitor told me the other day that she can tell when she drives up my drive, that I love life and life lives here. Stairs leading up the side of the house. “My desire to create a beautiful setting for my own enjoyment and to enhance my own love of nature which involves being surrounded by plants and flowers became (without my realizing it initially) my way of living sustainably and helping our Earth. 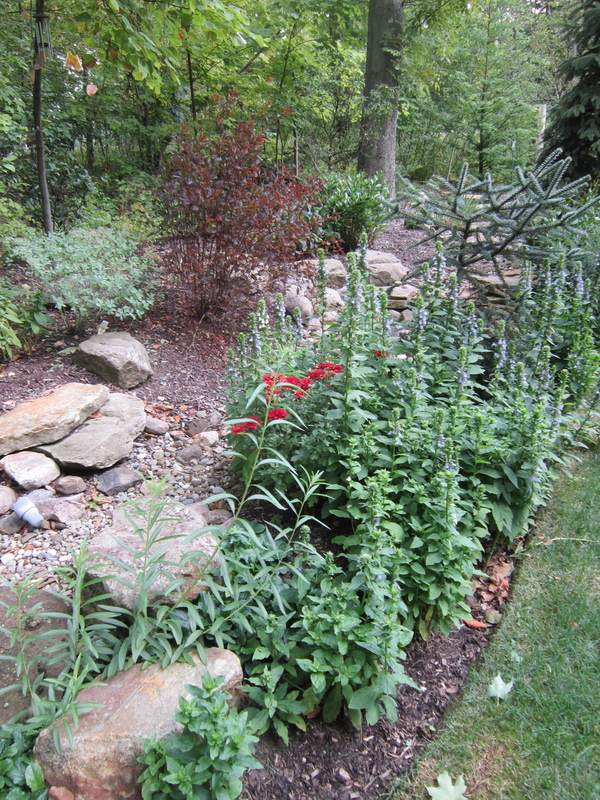 I used to enjoy all of that without thinking about whether or not the plants were right for the area or biodiversity. 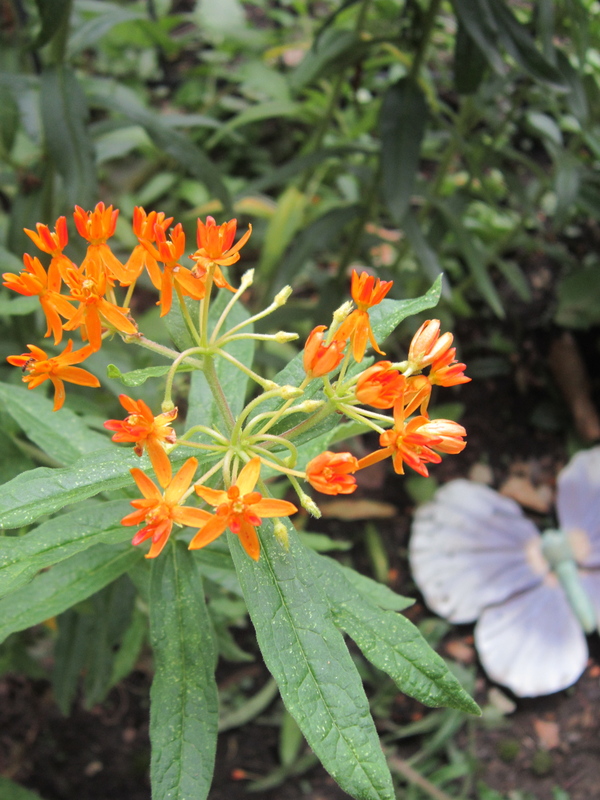 I just knew I had hummingbirds, orioles, and other birds to watch as well as flowers to cut to bring in for arrangements. This was all great for me. Then I met Carol who introduced me to planting FOR wildlife, too. For example, I told her how I wanted to see more cedar waxwings and she said I should plant Hawthorne and amalancher. 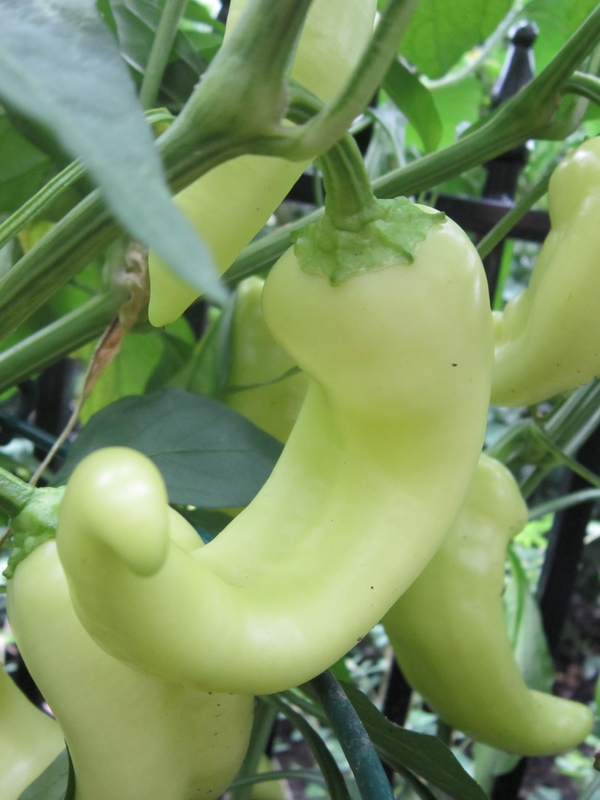 In this way, planting what is good for the birds is good for my enjoyment also. 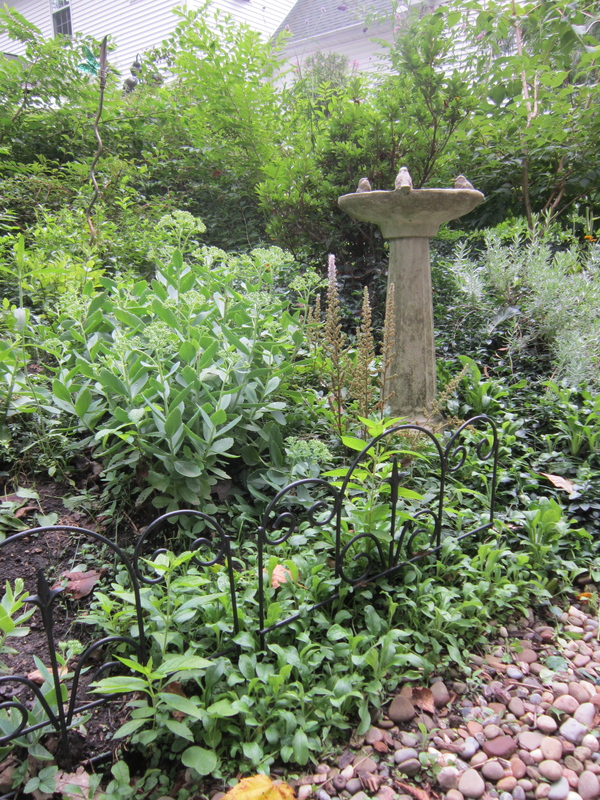 A small water feature has attracted some frogs, too! 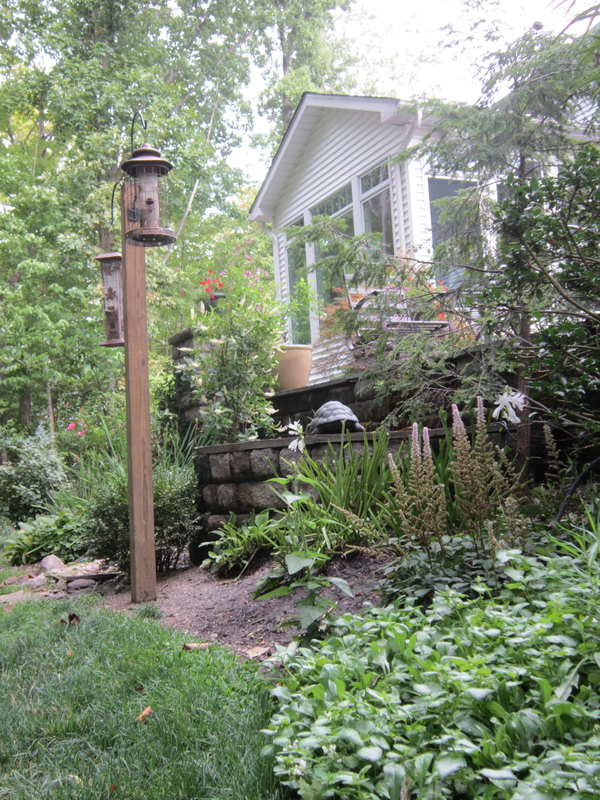 A backyard designed with wildlife in mind. Thanks for setting a good example, parents! And thanks for sharing this story with us, Mom! So inspired by you and your mom! I do have the citrus trees for the bees, and the lantana for the butterflies, but still have a ways to go. Lots of little lizards climbing on the walls-do they count? That was a beautiful article. And hummingbirds! Plus lots of birds, starlings I think, that we would rather not have hanging around on the patio =( But the addition of a foil party decoration that reflects the light has encouraged them to visit other neighbors’ patios! I most especially the harvest. 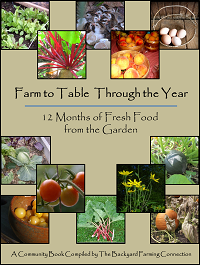 Something to enjoy planting, watch i grow and benefit from afterwards. Really worth the pleasurable work and wait.